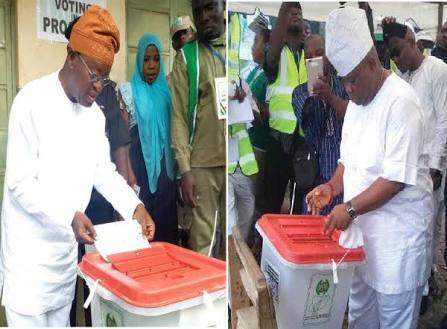 Civil rights group CLEEN Foundation on Saturday described as commendable, the conduct of security operatives deployed for the governorship elections in Osun State. The group which said it deployed over 90 observers in collaboration with the Police Service Commission (PSC) across the 30 local government areas (LGAs) of the state, noted that most of the security agents were professional, courteous and early on their duty posts. According to a preliminary report signed by Executive Director Dr. Benson Olugbuo, security pass mark was in spite of a few shortcomings observed. He said: “More than 90 election observers were deployed across the 30 LGAs to ensure a balanced reportage and adherence to good practices expected of security agencies on election duty. This preliminary statement covers the period between the opening of polling units and the conclusion of voting. “Reports from the field indicates that most polling units opened on time. Security personnel and INEC officials also arrived early. “From the preliminary assessment received from our stationary and roving observers, it was noted that there was an adequate deployment of security personnel during the election. “Most polling units had an average of four security personnel comprising police officers and other security agencies. Security personnel were stationed at strategic locations in the state. “Security personnel largely conducted themselves in a commendable manner. They exhibited professional conduct in maintaining law and order, were civil and approachable, assisting the elderly and vulnerable in exercising their franchise. On the group’s general observation, Olugbuo said there were cases of card reader malfunctioning which slowed down the election in some places, adding that the machines were replaced with back-ups. “There were reported cases of missing names on the voter register. This was recorded at Iwo and Orolu LGAs; our observers reported early arrival of INEC officials and security personnel. Polling units were also set up on time. “CLEEN Foundation observers witnessed early turnout of voters across the 30 LGAs in the state; Inter-agency collaboration and cooperation of security agencies was observed during the election. “There was active participation of international and domestic observers; incidents of vote buying was reported.